A complex, bespoke online store that covers over 1,400 product categories and 8,500 products. 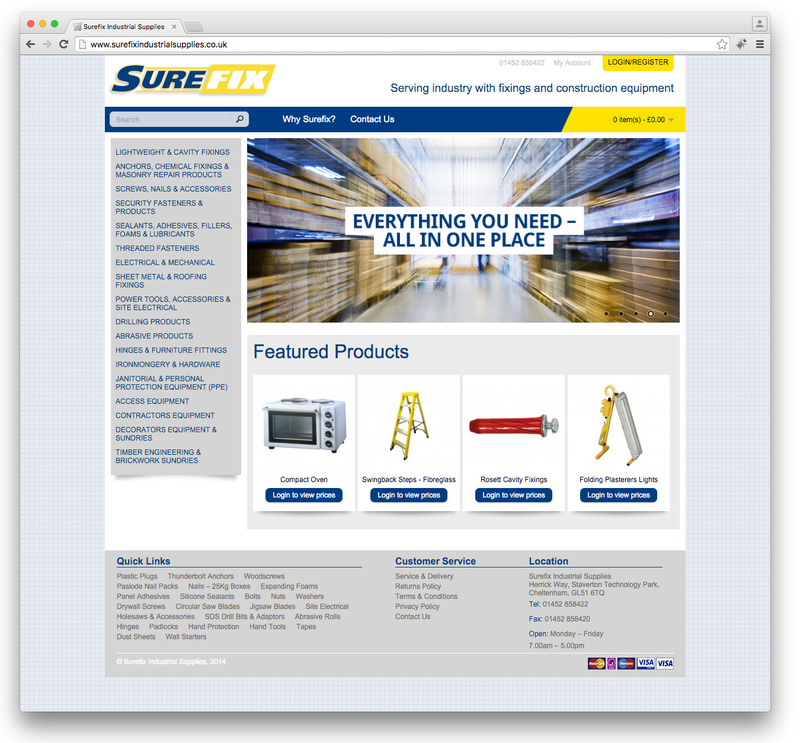 Surefix offers such wide variety of products the website using 19 different unique variables such as size/reference, box qty, finish, model no, bolt diameter, drill size mm, etc that are automatically pulled into the relevant product. On top of this various customer groups achieve different discounts on different products.